Preheat a pan over a high heat and add a tbsp of oil. Pat dry scallops with kitchen paper and season well. Add the scallops to the pan flat side down and cook until golden brown, this will take 2-3 minutes. Dont move the scallops around in the pan as this will prevent them from cooking. Add a knob of butter to the pan and baste the scallops. 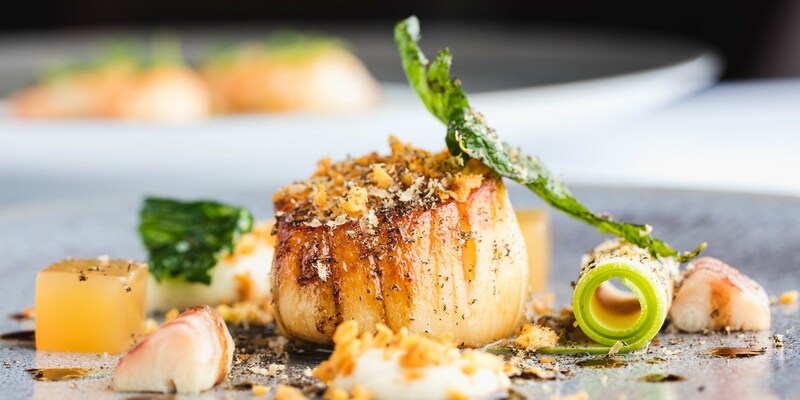 After you have mastered this technique why not try Adam Gray's Scallop salad with cobnuts or Richard Corrigan's Seared scallops with salsify, blood orange and brown shrimp.